Congratulations are in order for Ellen Datlow, who was awarded the Locus Award for Editor today at a banquet in Seattle. 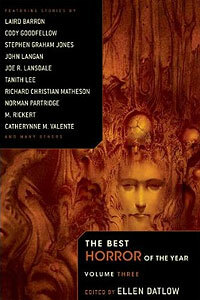 The other nominees for Editor were: Gardner Dozois, Gordon Van Gelder, David G. Hartwell, and Jonathan Strahan. 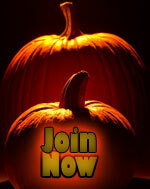 Each year, the Horror Writers Association gives out the Bram Stoker Lifetime Achievement Award. In 2011, the winners are Ellen Datlow and Al Feldstein. 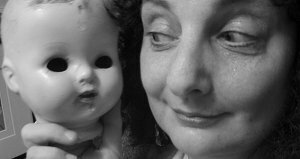 Ellen Datlow is unquestionably one of the most influential editors in the history of the horror genre. Her long-running The Year’s Best Fantasy and Horror (which she co-edited with Terri Windling, Kelly Link and Gavin J. Grant), and, more recently, The Best Horror of the Year, have helped define the art of horror writing since 1988. HWA Rocks BookExpo America 2010! For the second time in its history, the Horror Writers Association exhibited at BookExpo America, held May 29th through the 31st at the Jacob K. Javits Center in NYC. Several HWA members – including Deborah LeBlanc, Alexandra Sokoloff, Ellen Datlow, Gary Frank, Kim Paffenroth, Connie Corcoran-Wilson, Jameson Currier, and Vince Liaguno – participated in book signing events during the convention, successfully placing their titles in front of booksellers, librarians, and new readers alike.